CoolSculpting is the most popular, non-invasive fat reduction treatment in the world. Using patented cooling technology, CoolSculpting freezes unwanted fat cells to reduce stubborn bulges like love handles, belly fat, upper arm fat, thigh fat, double chins and more. Scientific studiesⁱ prove CoolSculpting really works, reducing 25% of targeted fat cells with a single treatment. In addition, treatments are convenient, painless and require no downtime, making CoolSculpting a great, non-surgical alternative to liposuction. Freeze Your Fat Away at Estetika Skin & Laser Specialists – the 1st Provider of CoolSculpting in Southeastern Wisconsin! If you are ready for a slimmer, more sculpted physique call 262-646-9222 to schedule a free CoolSculpting consultation from Estetika Skin and Laser Specialists, the premier provider of CoolSculpting in Wisconsin. New client? Save 25% off CoolSculpting cost! CoolSculpting uses a mechanism called Cryolipolysis to target the subcutaneous fat cells that cause stubborn bulges that are resistant against diet and exercise. 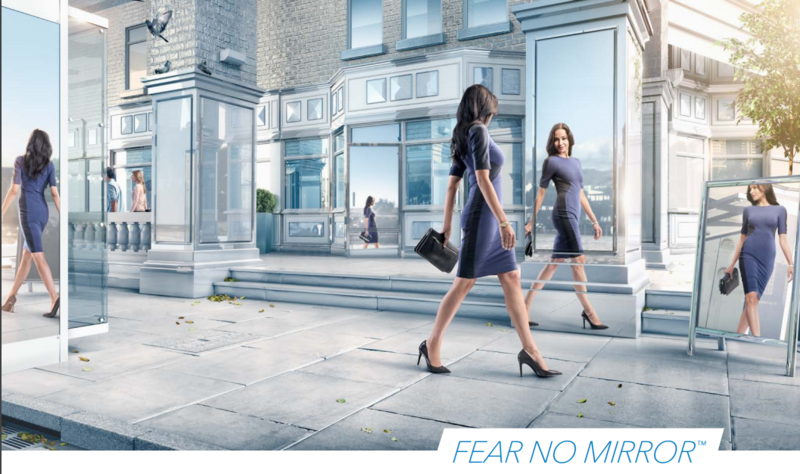 During a CoolSculpting procedure, an applicator safely exposes the treatment area to precisely controlled cooling. This freezes underlying fat cells without damaging the skin or surrounding tissue. According to clinical research,ⁱ the frozen fat cells undergo apoptosis, or cell death. This triggers the lymphatic system to collect and metabolize the dead fat cells, and excrete them from the body as waste. Scientific findings also provide definitive answers for those asking, “Is CoolSculpting permanent?”. One longitudinal study measured the long-term efficacy of CoolSculpting results. Evaluating CoolSculpting before and after images taken nearly a decade apart, researchers concluded CoolSculpting produced “durable results despite natural fluctuations in body weight” and that “results from cryolipolysis may be very long-lasting.”ⁱⁱⁱ. CoolSculpting cost depends on the areas treated and the amount of treatments needed for optimal CoolSculpting results. During your consultation, we will provide you with detailed CoolSculpting prices and create a personalized treatment plan, customized to your specific body contouring needs and budget. In our effort to provide the best CoolSculpting in Wisconsin Estetika is offering 25% off CoolSculpting cost for new clients. Call 262-646-9222 to learn more. What to Expect During Your Cool Sculpting Treatment? At Estetika, we want you to enjoy your experience as much as you enjoy your results. Our state-of-the-art medical facility envelops our patients in a relaxing, spa-like environment. To ensure your comfort, we perform treatments in private patient rooms, furnished with comfortable beds. During your CoolSculpting treatment, your Cool Sculpting specialist will secure an applicator to the treatment area. Within the applicator is a vacuum-like mechanism that gently draws up tissue from the treatment area to rest in between two cooling panels. Once the applicator is secure, the treatment area is exposed to controlled cooling for the duration of the procedure. During this time, feel free to lay back and relax. Many patients take a nap or indulge with healthy snacks while surfing the internet. Remember, with CoolSculpting, there is no downtime. Once your CoolSculpting treatment is complete, you are free to return to your normal activities. What are typical CoolSculpting side effects? Experiences vary, but many patients do not experience CoolSculpting side effects. However, some patients experience symptoms associated with the body’s natural healing process. These symptoms include numbness, tingling, redness, and/or sensitivity in the treatment area. These CoolSculpting side effects are typically mild and usually subside quickly. * During your free CoolSculpting consultation, we will discuss the treatment, including potential CoolSculpting side effects in detail. How Many Cool Sculpting Treatments will I need? Most patients are satisfied with their CoolSculpting results after a single treatment. * However, the same area may need additional treatments to achieve optimal CoolSculpting results. How Can I get the best CoolSculpting results possible? Two things influence CoolSculpting results more than anything else: A good candidate and a good provider. CoolSculpting is intended for healthy men and women who struggle with stubborn fat deposits. The best way to discover if you are a good candidate is to schedule a free CoolSculpting consultation by calling Estetika at 262-646-9222. Striving to deliver the best CoolSculpting in Wisconsin, Estetika offers advanced treatment techniques with “DualSculpting.” DualSculpting uses the power of two CoolSculpting machines, treating two areas at one time, doubling the results while cutting treatment time in half. New in Cool Sculpting: Reduce Double Chin Fat! Zeltiq Aesthetics recently released the new, FDA cleared, CoolMini applicator, designed to dramatically reduce submental fat, or the fat around your chin and neck, commonly known as a double chin. The CoolMini has gotten significant positive feedback and satisfactory results. Double chin reduction with Cool Sculpting is available in Wisconsin from Estetika Skin and Laser Specialists. CoolSculpting Near Me: Why Choose Estetika Skin & Laser Specialists? As the very first Provider of CoolSculpting® in Southeastern Wisconsin, you simply cannot find another CoolSculpting Milwaukee provider with more experience than Estetika Skin and Laser Specialists. In addition, Zeltiq, the makers of CoolSculpting, recognized us with the National CoolSculpting Center of Excellence award, making Estetika Wisconsin’s ONLY CoolSculpting Center of Excellence. With over 15,000 Cool Sculpting treatments performed at Estetika, we are committed to maintaining our reputation as the Premier Provider of CoolSculpting in Wisconsin. If you are looking for CoolSculpting in Wisconsin, Call Estetika Skin and Laser Specialists today at 262-646-9222 to schedule a free CoolSculpting consultation. ****Results may vary. Estetika Skin and Laser Specialists is reputable for complete customer satisfaction for completed treatments. Unless otherwise noted, testimonials provided Estetika Skin and Laser Specialists are clients of Estetika Skin and Laser Specialists who have undergone complete treatment(s.) Before and after pictures depict real patients who have undergone complete CoolSculpting treatments. However, results may vary per client. No treatment is promised to provide permanent results. A guarantee is neither provided nor implied.